Lorraine Kovenz Bushek is a Portland, OR based artist, animal lover, and volunteer with Rabbit Advocates. Her paintings are wonderful, and her love of rabbits and her firm belief that they belong in the home shine through in her series of "Rabbits Belong on Chairs". Four classic and beautiful oil paintings are professionally reproduced on 5 1/2 x 4 1/4 inch greeting cards which come with white envelopes. The insides are blank, making these cards a heartwarming way to communicate any message to friends and family. Their uniqueness also make them a fabulous gift to anyone with style and/or a love or rabbits. 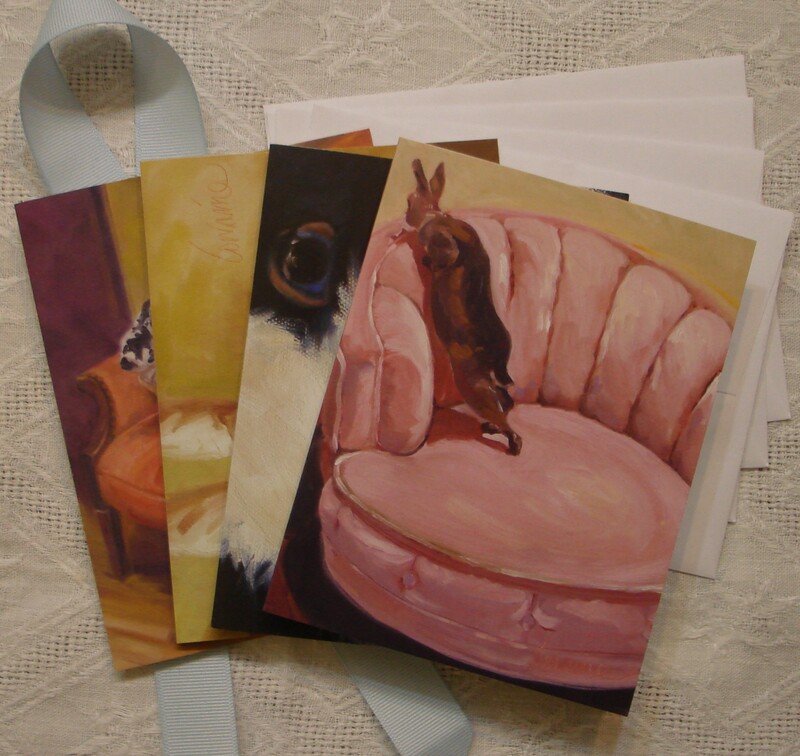 A portion of the proceeds of the sale of these cards goes to the Rabbit Advocates General Fund which provides veterinary care for rabbits that have been rescued and are being prepared to find their forever loving home.